Stella Studios provide a comfortable and welcoming environment to spend pleasant summer vacation. It is located in Rousoum Gialos. The property is just 800 meters from Patitiri, the main port,15 minutes’ walk and 5 minutes by car. Rousoum Gialos is exactly the adjacent bay of Patitiri. The property is just 60 meters walk from the beach of Roussoum Gialos. The beach has pebbles, it is organized and very clean. The area has three restaurants, two bars and a mini market. 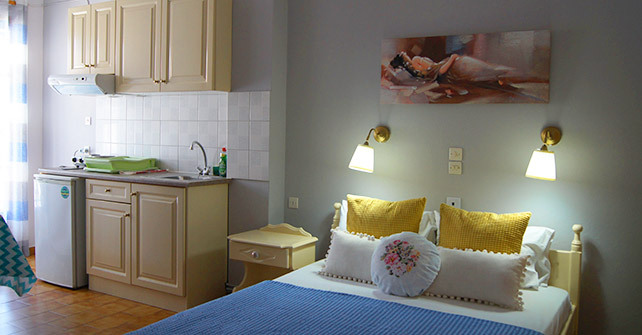 Stella Studios consist of 7 apartments, 7 studios and 5 rooms. More specifically, the apartments can accommodate 3-5 people. Some have separate bedroom and there is an extra bed or sofa bed in the kitchen. 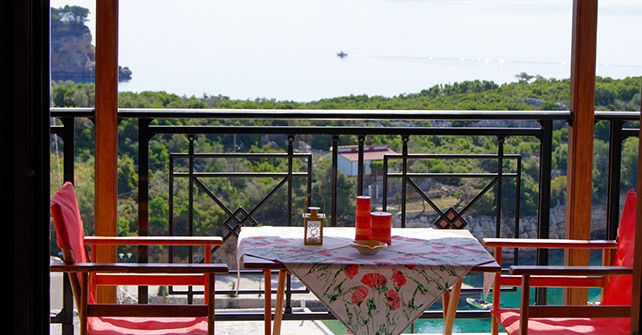 It is also concluded private bathroom and private balcony with sea views, air conditioning, TV and wi-fi. 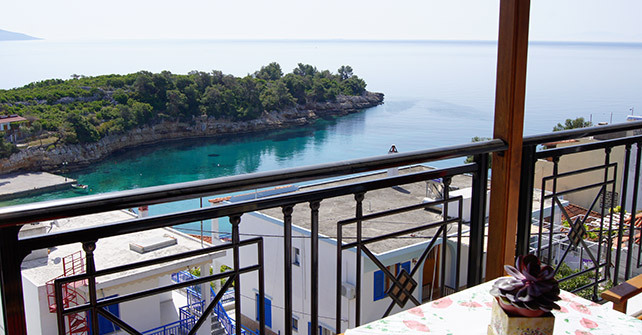 The two rooms apartments consist of two separate bedrooms, two bathrooms, an equipped kitchenette, air conditioning, TV, wi-fi and a private balcony with sea views. As for the studios consist of one room, essentially a bedroom, a small kitchen, bathroom, air conditioning, TV, wi-fi and a private balcony with sea views. 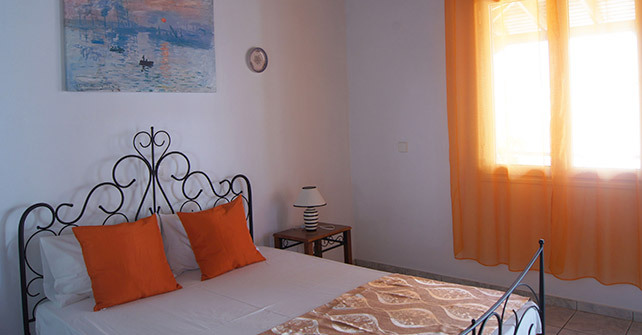 Moreover, the rooms consist of one bedroom with a private bathroom. Each room has a small refrigerator and electric hotplates for making breakfast. 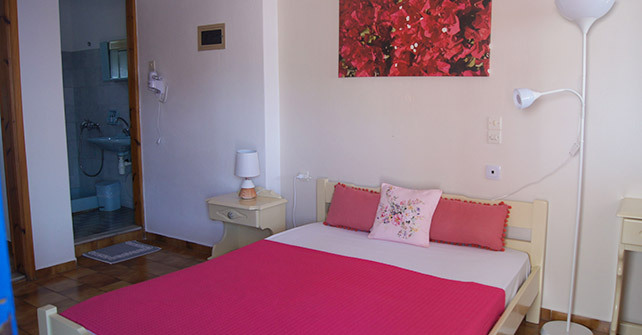 Each room has a private balcony with sea views, air conditioning, TV and wi-fi. Our property provides daily cleaning and linen change every three days. Furthermore, a reception is operated where guests can get any information about the island and can be served immediately. There is also public parking space. For the best customer’s service is provided transportation to and from the port for those who do not have means of transport.